ISCO understands all of the primary concerns of operating a landfill as it pertains to the variety of piping systems. 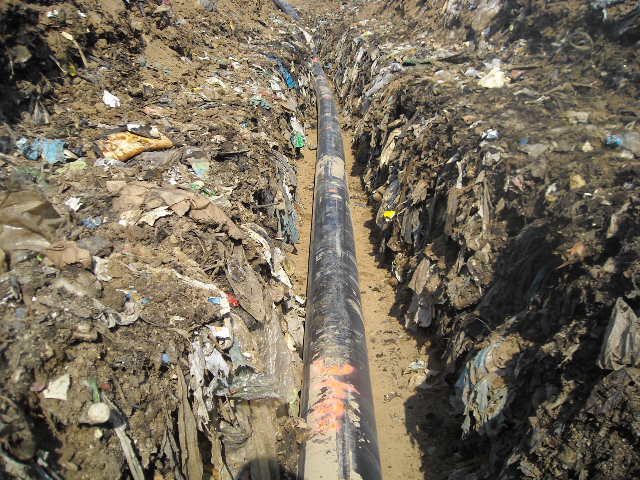 HDPE pipe and its excellent abrasion and chemical resistance qualities make it an ideal solution for collecting and transporting leachate, landfill gas, stormwater and other derivatives landfills produce over time. But, ISCO is more than a mega-resource for HDPE. We also have a large staff of industry professionals with decades of experience with the dynamic installation environments of landfills. And we top that off with fusion services and equipment, custom fabrication expertise, and an extraordinary inventory of fittings and ancillary items all at a single source for your convenience. For more information download our landfill brochure here. TO LEARN MORE ABOUT LANDFILL OPERATIONS CHECK OUT OUR BROCHURE.